The unstoppable NigerianTalent.com is teaming up with the popular Sir H. Productions to present two massive shows that will blow your mind away this Christmas season. 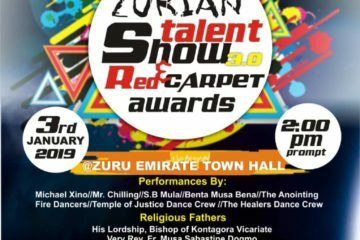 The double-show which is being produced in conjunction with Sir H. Productions and El-Seske Sound Records (and dedicated to the memory of MICHAEL IPEYA) is the second edition of the Zuru Open Mic Comedy Show which has now been rebranded into the ZURIAN TALENT CONCERT series. 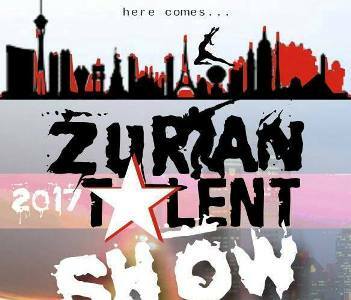 It will feature the best of the best of the up and coming talents in Zuru, Kebbi State (and the whole Northern region of Nigeria). Also featuring a Live Band, there will be thrilling and unforgettable performances in Music, Comedy, Spoken Word, Poetry, Dance, Talk Show and Stage Drama. Originally started as a mainly comedy show in the city of Zuru in Kebbi State of Nigeria, the concept has been expanded thanks to the involvement of NigerianTalent.com to include more acts and now two shows, one to be held in Zuru and the other to be held in Birnin Kebbi, both located in Kebbi State, Nigeria. The long term plan is that in the future, the Concert will be expanded to become a tour of various towns and cities across Nigeria and Africa. SPONSORS: Great exposure for sponsors. If you will like to be a sponsor, click here to contact us. DATE: Zuru Concert is 26 December 2017, Date of second show to be announced. MISSION: To unleash our God-given talents for the good of humanity and to reach out to people and change them positively. HISTORY: The show was first hosted in December 26th 2015 live at Zuru Unity Hall and was a massive success which garnered rave reviews for Sir H the organiser and his entire team. FOUNDER: The founder and original concept developer is Habila Ibrahim Abel (also known as Sir H), a fast-rising multi-talented producer who was recently signed aboard NigerianTalent.com as a member of their creative team. Click here to learn more about him. MORE DETAILS: More details about the show will be released soon, including the confirmed venues and date of the second concert so watch this space because something big is about to happen! SPONSORSHIP: There will be Great exposure for sponsors. If you will like to be a sponsor, click here to contact us. I wish u the best,I will be there in fact to perform in comedy acting as kansime,spoken words and music, if possible.